Miguel Arias Cañete knew he would not face an easy hearing. So he went into it splendidly prepared by the Commission’s energy and climate services, pulling out of his hat facts and figures, bold statements about European leadership and even new initiatives. He may have slipped on a few details, but kept up the facade of a man versed in EU climate and energy policy, and showed impressive calm under pressure. Yet Cañete refused to settle the biggest issue dogging him: a potential conflict of interest because his family is involved in the oil business. This has ostensibly led to a postponement of the decision as to whether to approve him or not. Others say the issue is proving useful to the centre-left to keep him hostage (he’s from the centre-right) as the centre-right decide what to do about Pierre Moscovici, France’s candidate for EU Commissioner for Economic and Financial Affairs (from the centre-left). Sound complicated? Not really – this is politics and if a head rolls, another must follow. The Parliament cannot reject individual Commissioners by the way – they will vote on the full package of new Commissioners as presented by incoming European Commission President Jean-Claude Juncker on 22 October. They can either accept or reject it. But in the run-up to this date, if heads roll, portfolios may be re-assigned, new candidates proposed and extra hearings scheduled – as for the UK’s candidate Jonathan Hill next week. Below, Energy Post gives you the lowdown on Cañete and his views on EU climate and energy policy. The Commissioner-designate for energy and climate biggest failing at his hearing is that he did not manage to clear up the issue of a conflict of interest. Even if he recently sold his shares in two petroleum-service companies in the Canaries and Ceuta (two Spanish tax heavens), he systematically avoided any answer to the involvement in these companies of his brother-in-law Miguel Domecq Solis. Green MEP Claude Turmes called Solis “Cañete’s business partner of 25 years”. Cañete argued that he “went beyond legal requirements” by extricating his son from the companies, when the Code of conduct for European commissioners only mentions a spouse or partner’s interests. But he stubbornly refused to even acknowledge his brother-in-law despite repeated questioning by increasingly exasperated Socialist, Green and other left-wing MEPs. Cañete tried out a second line of defense: arguing that the companies in question are logistics (not exploration) firms and very small at that. His third line of defense was to promise “total transparency” on who he meets and for what purpose, as a Commissioner. He has a “clear conscience” on taxes and “never” had any business in tax heavens. While the centre-right EPP group – to which Cañete belongs – got fed up with all the family questions, other MEPs were left visibly dissatisfied with his answers. The fact that Cañete cancelled his press point after the hearing did not go down well with journalists. What Cañete did better to dispel right from the start was criticism for chauvinistic comments about women earlier this year. He apologised up front, stating humbly that his comments [on women’s intellectual capacities] were “unfortunate” and that he favoured gender equality. A few female MEPs made references to this after, but he faced no harassment over it as he did over his potential conflict of interest. Cañete believes in climate change and does not question that it is at least in part man-made. The “evidence is on the table” thanks to the “splendid work” of the International Panel on Climate Change (IPCC), Cañete said. “We should use this science to launch an ambitious [global climate] policy in Paris [in 2015],” he continued. Cañete referred to his record as Environment Minister of Spain as evidence of his climate credentials. He took credit for signing Spain up to the Green Growth Group of member states calling for a rapid decision on an ambitious 2030 package. “In the past, when not in this hearing, I was fighting for climate change,” he insisted. “I was side-by-side with Connie Hedegaard.” Some of his calls on the 2030 climate and energy package – see below – could cast doubt on such robust climate credentials, however. 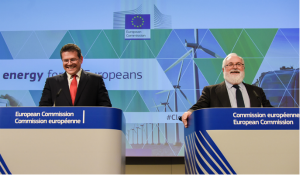 The 23 October summit of European leaders must be “ambitious” on climate change, energy efficiency and renewables, Cañete said. “Europe must be the global number one in renewables – it’s vital for climate change, and vital for jobs and economic growth,” he told MEPs. He did not repeat the same aspiration for energy efficiency but repeatedly spoke out in favour of it and at one point said he wanted “clear and binding objectives” for it. 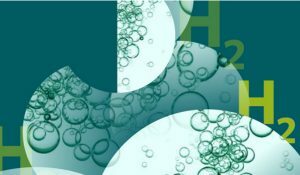 Although most of Brussels expects the framework of a 2030 energy and climate policy to be signed off by European leaders later this month, it is by no means guaranteed. The Visegrad+2 group (Poland, Czech Republic, Slovakia, Hungary, Romania and Bulgaria) agreed just this week to only support a binding greenhouse gas emission reduction target (of 40%), not binding renewables or efficiency targets 27% and 30% respectively. The 2030 proposal is “a balanced one”, Cañete countered. In a manoeuvre worthy of his new role as reconciler of climate and energy interests, he threw a bone to both environmentalists and industry. “If in Paris, all major emitters agree to more ambitious targets, then I will not oppose more ambitious targets. 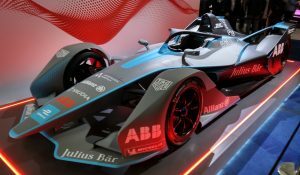 But if that is not the case [we could consider to] use international credits to comply with the 40%.” The 40% target is “very ambitious” he explained and could cost industry a lot otherwise. 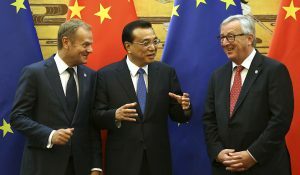 He hastened to reassure green critics that if Europe offset its emissions with international projects, he would “look very carefully” at the quality of the credits – a point of controversy in their use to date. He won himself more green friends by coming out in favour of advancing the start date of a proposed “market stability reserve” to help safeguard the EU ETS against future economic shocks and the effect of related policies setting targets for renewables for example. Member states are currently divided over whether the mechanism should start after 2020, as originally foreseen, or earlier, to start chipping away at the enormous surplus of allowances that has accumulated during the crisis. The MEP who will lead this file in the new Parliament, Belgian Ivo Belet from the centre-right, welcomed Cañete’s support. He was vaguer on carbon leakage protection. This is core to a deal on reforming the EU ETS to boost the carbon price. Cañete proposed to continue with the current practice of giving extra free ETS allowances to at-risk industries, while suggesting the system could be improved without saying how. He argued too that free allowances to help modernise old energy plants in Central and Eastern Europe should be continued after 2020. He promised a legislative proposal to fix in law emission reductions from the non-ETS sector (including buildings and transport) as part of the overall 40% emission reduction target the EU is set to adopt with its 2030 package. And finally, carbon capture and storage is “also an industry we must develop”. It’s “very important because coal will be in the mix for a very long time.” He said would work to mobilise financing – without saying how. Cañete did not answer a question about how to drive renewables in transport after 2020. Nor did talk about fuels or mention the fuel quality directive, which currently requires fuel suppliers to reduce greenhouse gas emissions from road transport by 6% over the decade to 2020. 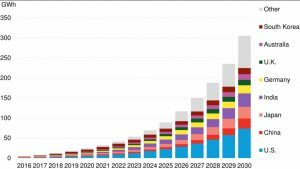 The Commission has suggested it wants to discontinue this decarbonisation goal. It will also stay away from new biofuels targets. This leaves a 2030 void for transport that Cañete said nothing to fill. His responses to questions on indirect land-use change (ILUC) and oil sands were vague. “We will work on ILUC.” On oil sands, another issue governed by the fuel quality directive, he sat on the fence, saying that “for the moment there is no distinction between one product and another” while adding “if they were banned, in line with WTO rules, fair enough.” Not an issue he wants to confront right now, with a fresh Commission proposal on oil sands reportedly due out this month, on how to account for the higher greenhouse gas emissions associated with their extraction. Cañete did say he was ready to take unilateral action on carbon emissions from international aviation and shipping if measures to tackle these at global level are not forthcoming. The International Civil Aviation Authority (ICAO) is supposed to come up with a global agreement by 2016 and the International Maritime Organisation (IMO) is meeting this month to talk about how to measure ships’ energy efficiency – also as a prelude to cutting emissions. The Italian EU presidency hopes to a broker a deal on a separate EU law mandating the monitoring of ship CO2 emissions by the end of the year. At times, Cañete sounded not just like Connie Hedegaard, but even like outgoing environment commissioner Janez Potočnik. This was true for shale gas, where he went further than candidate for environment commissioner Karmenu Vella in his hearing. Like Vella, he promised to analyse how effective EU guidance on shale gas turns out to be, but unlike Vella he suggested that hard and fast EU rules might be needed. “It may prove necessary to come forward with binding legislation. Member states are free to decide on their energy mix, but the European Commission has a duty to safeguard the environment,” he said. But he was attacked by Spanish MEPs who pointed out that he had authorised fracking in Spain and asked him how he had come to the conclusion that “shale gas is not dangerous”? He responded: “What I did as a minister is to decide to it should be subject to the most stringent environmental assessment.” He insisted that environmental impact assessment rules were Spain’s toughest ever under his watch. He was also criticised however, for a Spanish coastal law that Spanish MEPs said led to the “destruction of natural heritage”. He replied that it was to protect the interests of European investors on the Spanish coast. Cañete didn’t say much on the very technical yet essential subject of an internal energy market. The third energy package needs to be implemented, he said, but he avoided going into detail on possible state interventions (e.g. 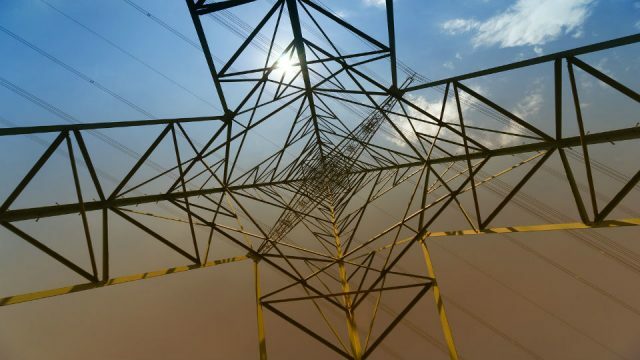 no mention of capacity markets), preferring to focus on smart grids and interconnections. For him, the internal market is a physical one. He remained rather vague on what needs to be done at market level (“fighting monopolistic practices” and “better integrating the market” for example), but homed in on consumers. They must be “at the centre of decisions” on how to regulate their own energy and generation, he said. Vulnerable consumers will be his priority, although he recognised that there is no single definition at EU level. He wants to find the best way to address energy poverty, for example by enhancing building insulation where the more deprived population lives. He said clumsily that smart meters would help against energy poverty. He is “cautious” about more legislation and questions whether it would be of added value, as opposed to enhancing “subsidiarity” (i.e. more member state control). He believes too in regional cooperation as a first step towards a united energy market; he cited the Pentalateral Forum. His understanding of the subject stops here in any case because he said several times that the single energy market aims at a “harmonised” or even at the “same” energy price across Europe, whereas experts speak about more “efficient” pricing as an ultimate goal. Cañete was more loquacious on the need for interconnections in Europe, one of his Prime Minister’s hobbies. There are not enough, he baldly stated, citing all from the Baltic to the Iberian Peninsula to North Sea wind farms. He wants to accelerate permitting procedures, albeit with as broad a public consultation as possible. Experts and data should guide these decisions, he decreed. The synchronous interconnection of the Baltic States “will be costly but necessary” and is a priority; then comes the eastern part of the EU and finally the Iberian Peninsula. The latter is an “energy island” which cannot export electricity to the rest of the EU and has problems with its renewables because its grid is not smart enough. Only one project between France and Spain is well on track; the others are “far behind schedule”. All of Europe’s Projects of Common Interest (PCIs) are a “priority” and he wants to secure financing for them in several ways: through the Connecting Europe Facility (a new EU infrastructure fund), project bonds with the European Investment Bank and as part of a new public-private investment package of €300 billion promised by incoming Commission President Jean-Claude Juncker. 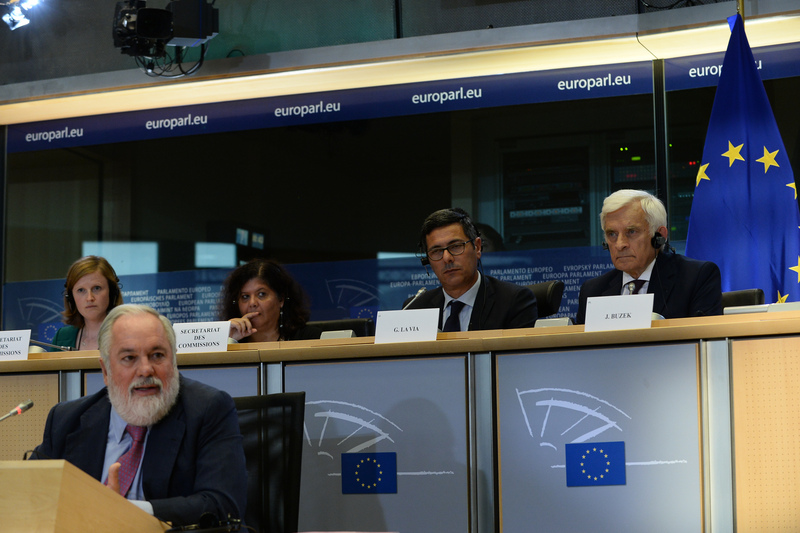 Cañete referred several times to the need for back-up and smart grids for renewables to develop in Europe. As a Spaniard, he experienced “excessive premiums to renewables” and therefore strongly advocates market-based support for mature renewables and “less public subsidies”. But he insisted that non-mature renewables technologies must be helped to boost investments. Europe should be world’s #1 on renewables, he said, a bit too enthusiastically. Cañete stayed strictly within the limits of the Commission’s dogma on nuclear: his job is to ensure the highest possible safety standards, including in decommissioning and waste management. Whether member states choose to pursue nuclear energy or not is a national decision. He avoided mentioning Fukushima, the nuclear stress tests and state aid – the latter despite or perhaps because of the imminently expected decision from the Commission on whether the UK can give subsidies to a new plant at Hinkley Point C. Despite talking about nuclear safety, he also avoided giving his position on the perpetual battle between the Commission and member states on how much the Brussels has to say on nuclear safety. Overall this was a textbook answer from a prudent politician. Cañete was adamant that security of supply may be enhanced by diversifying energy supplies. It starts with achieving the Southern Gas Corridor – this was mainly what he had to say on gas. He added that “South Stream should not go on unless it fulfills the European acquis”. Energy efficiency, LNG supplies and even combined heat and power are also means of enhancing EU security of supply, Cañete said. He even mentioned a platform for the joint purchasing of gas, which he would support if it was in line with World Trade Organisation (WTO) and competition rules. He avoided the mine field of Europe’s relationship with Russia – no MEP asked, after all – and even qualified the current conflict between Ukraine and Russia as “political”. He values the stress tests of gas grid mandated by the current Commission and even gave the expected recommendations for this winter: regional cooperation, reverse flows, enhanced storage and LNG imports. His first priority when he takes office will be ensuring gas supplies for this autumn. He recognised that “we won’t change our energy mix overnight”. Miguel Arias Cañete’s destiny is now in the hands of the Socialist & Democrat Group (S&Ds) at the European Parliament. Neither this group nor the conservative European People’s Party (EPP) can kick out a candidate without expecting retaliation. “None of them can get an absolute majority alone but you cannot do anything against them if they form a coalition,” an MEP told Energy Post. Their “pact of non-aggression” on the designation of the Juncker Commission is an open secret in Brussels, but it could well blow up if some candidates are judged so inappropriate for the job, they have to be refused by a majority of MEPs, opening Pandora’s Box and a war between the Parliament’s two main political groups. “We have enough time to organise more hearings,” says Jerzy Buzek, who is chairing the hearings within the Parliament. Cañete is now a prisoner of the behind-closed-doors arrangements between political groups. Other candidates are also “fragile”, not least Alenka Bratušek, candidate for the new portfolio of Vice President for Energy Union. She has her hearing next Monday 6 October. Portfolios could be redistributed by Juncker to calm angry MEPs. But Cañete’s problem is not his knowledge of energy and climate policy, it’s the doubts over his conflict of interest and how he defends that. The latter would remain whatever the portfolio. He faces big challenges on content – not least how to reconcile neutrality to national energy mixes with European climate goals for example – but he will be judged on different criteria in the next few days. It’s too early to bet he will be the next EU Commissioner for energy and climate. I think we must have watched a different grilling. I made some contemporaneous notes. Take aways included (with respect to RES ) “certainty of rules” and “systems of governance”. Canete is a member of a government that retroactively changed RES rules (so either a) he disagrees with what was done or he is lying to the EP on these two points. In the case of putting the energy customer at the centre- Canete is in a government that, in broad terms,is preventing Spanish people putting unsubsidised PV on their roofs & will penalise them if they do. Canete – another word for liar and hypocrite? You also seemed to miss the excellent question from Joe Leinen on the conflict between the two dossiers 9energy & Climate) – Canete thrashed around, totally unable to answer as Leinen sat there with a half smile on his face.